There’s something about seeing what kinds of motorcycles are out there and daydream about our next ride! Try it out for yourself- go check out your local dealership, see all the new bikes, and you’ll be looking forward to your next ride too. 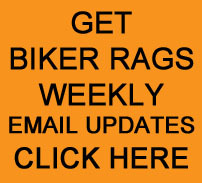 This entry was posted in Enjoying Your Motorcycle and tagged Biker Rags, Enjoying Your Motorcycle, Handlebar Highway. Bookmark the permalink.